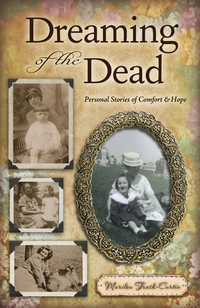 Story blurb: From the age of three, when a near-death experience brought an angel’s healing touch, Marilou Trask-Curtin has been able to communicate with spirits, primarily in unusually vivid and realistic dreams. Over the years she has interacted with the ghostly forms of several spirits and experienced dream visitations from many others such as her first true love, her beloved grandfather, and even British actor Jeremy Brett, with whom she’d grown close through years of correspondence. Marilou touchingly recounts her visitations with spirits who have come to offer advice, reassurance, or to let her know they have died or are about to pass on. This includes her companion animals who return to show they’re as full of health and joy as their human counterparts in spirit. The author also tells of dream visits from historical “mentor” figures such as Samuel L. Clemens and Harriet Beecher Stowe, as well as many others. Dreaming of the Dead will take you on a compelling and beautifully comforting journey—with a glimpse of what awaits us on the other side of life’s doorway. About the author: Marilou Trask-Curtin (Oneonta, NY) is an author, playwright and screenwriter. Marilou and her husband still live in her childhood home where many of her spirit encounters occurred—and still do to this day. I have had only one time-of-death encounter, when my little dog came to me at the time of her death by a road accident, but I can swear that it was very real. So much so that I could feel her lick my hand as usual when she came to my bed. Beyond that I cannot comment on the phenomenon one way or another. What I can do, however, is to cite Ms Trask-Curtain’s biographical work as an engrossing and even inspirational story. Conscious that paranormal visitations are not common to most people, she devotes the first couple of chapters to defining the difference between ordinary dreams and visitations. Perhaps the dead choose to come in dreams because that is when our defenses are at their lowest ebb or do not exist at all. We are more vulnerable when we are deeply sleeping, and that creates a portal through which all manner of dreamtime communications can occur. This also explains the ability to remember these encounters with remarkable detail—sights, sounds, smells, emotions and touch. Of equal descriptive detail are the vivid portraits she creates of her beloved grandparents, Edward and Myrtle McNally; her “first true love”, Butch; and of her soul mate, the British actor Jeremy Brett, etc. In fact, using Ms Trask-Curtain’s descriptions I am sure I could pick these individuals out in a crowded room. Moreover, for many of us they evoke memories of our own grandparents, parents and friends. Another aspect that stood out for me was that, although certainly poignant at times, her various encounters were positive (except for one crone), and the subjects all seemed to be quite content with their lot. I think this should be comforting for anyone thinking about their departed loved ones. Altogether this is a fascinating read, superbly written and totally engaging. Highly recommended. Five bees. Dream Journeys: As an aside, I was struck by the similarities between Ms Trask-Curtain’s “dream journey” experiences and the beliefs of the Dene Thaˊ First Nations peoples of the Pacific Northwest. According to anthropologist Jean-Guy Goulet, the Dene Thaˊ all believe (‘know’) that dreams are journeys of the soul in which it communicates with inhabitants of the “other land” and/or sees things unfolding in our land. Indeed, there are many accounts of visits by relatives to their deceased in the other land. Introducing the characters, settings etc., from my forthcoming novel, Coming of Age on the Trail. Yamanhdeya is the traditional Great Spirit of the Dene Thaˊ. They have also adopted the Christian god, whom they call Ndatwotá, but he is a secondary entity in their hierarchy. Yamanhdeya made it possible for humans to inhabit the earth by killing off the monsters that devoured them, and in my story he rules over both the animals the land—especially in British Columbia—and all other gods (such as Apollo) must acknowledge him if they enter his territory. 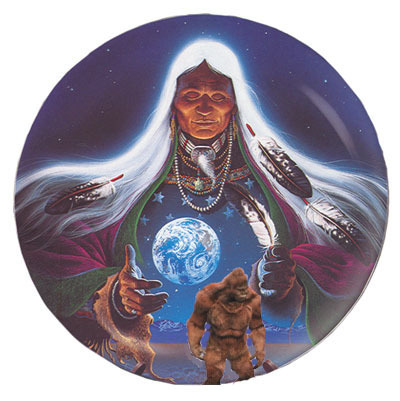 He dwells in the “other land” (paradise), which lies on the other side of the “crossing over place,” and when it is time to cross over Yamanhdeya sends a message to that individual via a Sasquatch. Admittedly, it is a blending of Native beliefs, but otherwise is quite authentic. An exciting new, 21-year-old artist from Nova Scotia, Canada, presently studying at the Royal Conservatory of Music in Toronto. 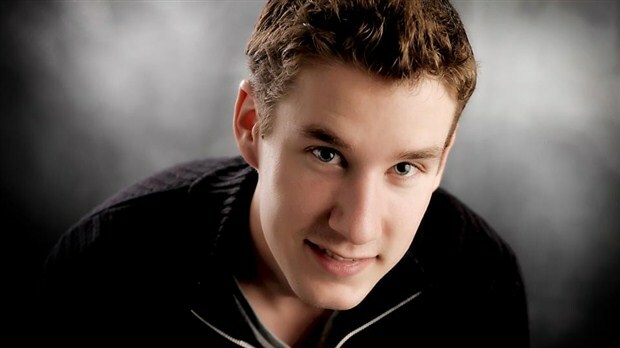 Lucas was recently featured on the Canadian Broadcasting Corporation’s “Next” series, part of a high-profile project created by the CBC Radio 2 program In Concert in which promising young classical musicians reveal their artistry. Click here to listen, and please pass it on. Thanks for dropping by! This is the ‘little blog’ that grew with your help. Please drop in often.